Need a fun way to entertain the little ones? 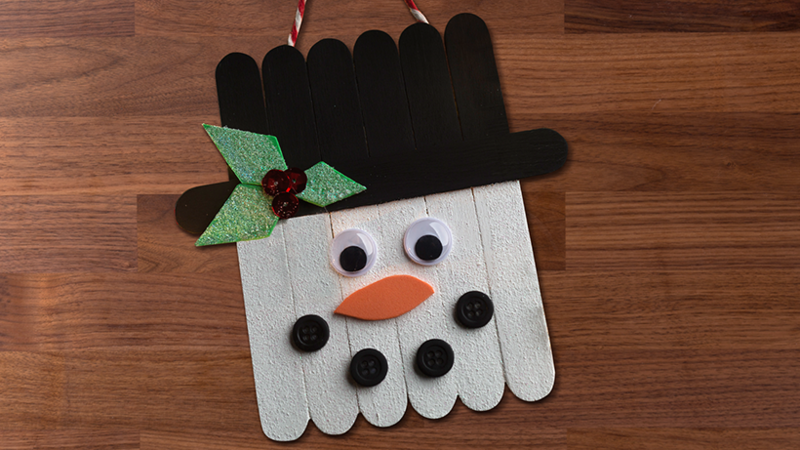 Try crafting these adorable Popsicle Stick Snowmen. Line up six vertical popsicle sticks next to each other. Place a line of hot glue horizontally across the sticks, about 1/3 of the way down, and adhere the 7th popsicle. This will create the brim of the snowman’s hat. Using black paint, brush the top third (brim to top of hat) and let dry. 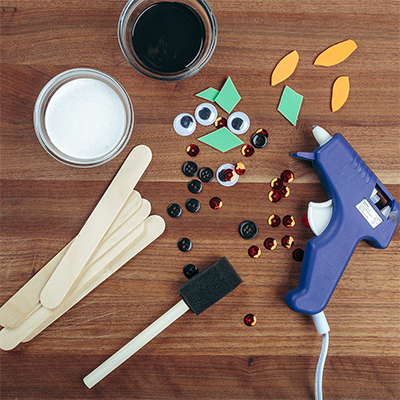 Mix glitter into white paint, and brush the lower 2/3 of the sticks, creating the snowman’s face. Use your creativity and the remaining supplies to create the details of the face and hat. Glue a piece of string to the backside and hang your new winter décor.